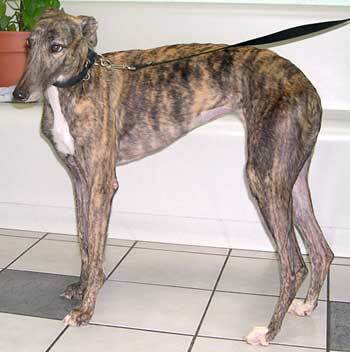 Alyssa, aka Culluma, is a petite, beautiful almost 2-year-old brindle female, born February 8, 2003. Alyssa's sire is the famous Gable Dodge and her dam is DZ Yellow Rose. 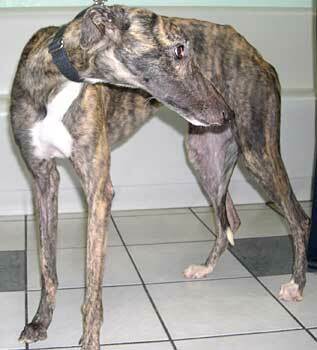 Alyssa's racing career never took off, so here she is looking for her forever home! It is not known at this time if Alyssa is small animal or cat tolerant.